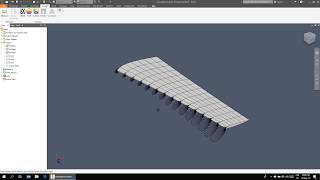 NACA Airfoil Generator is a plugin for Autodesk® Inventor® which allows the user to generate Airfoil directly to the 2D Sketch. There are lots of properties. You can export your setup with points to XML format with extension *.naca and import them back later.